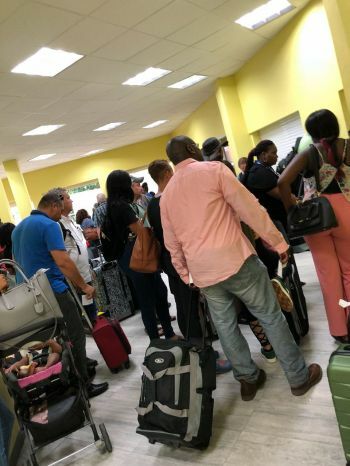 However, many staff—Immigration, Customs and Ports Authority—have complained that the Air Condition (AC) unit, has not been restored resulting in poor working conditions. Staff in recent weeks, have had to endure the 'heat' and 'sweat' on all shifts and are sometimes made to stand, for hours at their stations. In addition, residents and visitors must also stand in long lines, essentially clustered in the building’s sweltering conditions, while waiting for hours for both Immigration and Customs services. 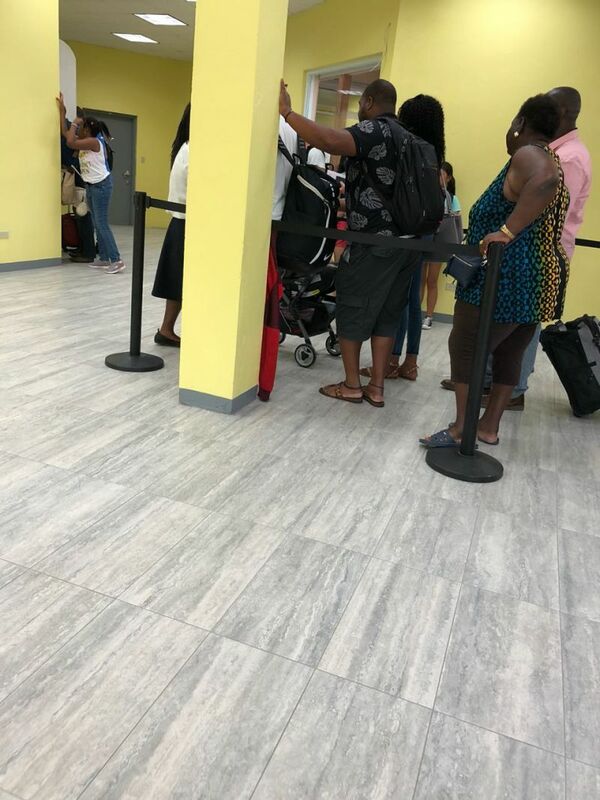 Our roving camera observed, just yesterday, June 27, 2018, when one of the ferry came in with a full boat of passengers at the Road Town ferry Terminal that even children and babies had to be victims of the punishing heat once they entered the building. He did not advise however, what time frame the contractor was given. If you want tourists to come back, you need to hustle and get the AC going quickly. Who was the mastermind behind the layout of that facility. Totally ridiculous. You’re standing in line, but you cannot see the officer and they cannot see you. I want to know who’s in charge of infrastructure cause they clearly get everything wrong. My poor country. When it isn't one mess, it's another. Sigh..